Eight months after two Florida teenagers disappeared on a fishing trip in 2015, an iPhone recovered from the pair's recently discovered boat might yield answers as to their fate. And Apple is reportedly willing to help. 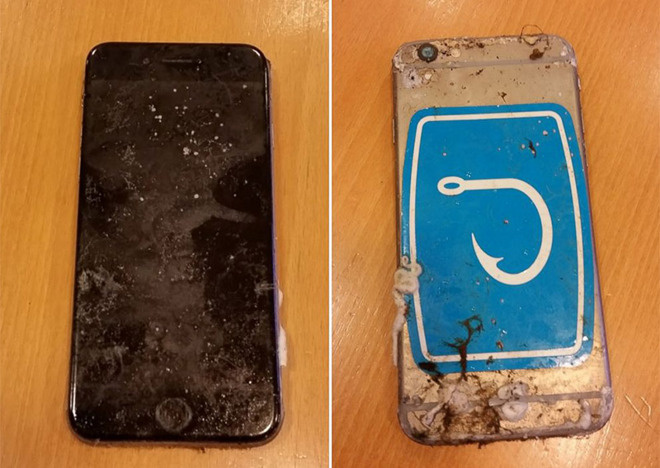 What appears to be an iPhone 6, belonging to missing 14-year-old Austin Stephanos, was found in a compartment on board a small fishing craft discovered 100 miles off the coast of Bermuda in March, reports ABC News. Two days ago, U.S. Coast Guard and Florida Fish and Wildlife Conservation Commission officials confirmed the vessel to be the same boat carrying Stephanos and Perry Cohen, also 14, when they went missing last summer, according to a CNN report. On July 24, 2015, Stephanos and Cohen embarked on a fishing trip off the coast of Jupiter, Florida, never to return. An exhaustive air and sea search spanning 50,000 nautical miles turned up the teens' 19-foot single-engine craft floating adrift two days after they went missing, but no bodies were found. Before the Coast Guard was able to return with a salvage team, the boat again disappeared, this time due to a faulty data buoy. Norwegian supply ship Edda Fjord rediscovered the small sporting vessel with Stephanos' iPhone on March 18. According to Austin's father, Blu Stephanos, Apple has been in contact about the iPhone and "seems willing to help us try to get the phone operational again. That would be the first order of business, since Austin's phone has been submerged in salt water for over eight months." After unsuccessful attempts to access their son's iCloud backup —the auto-backup feature was never activated —the Stephanos family is now looking to the salt water-damaged iPhone for clues or even a final message Austin might have left behind. Salvaging data from a damaged device, especially one subjected to months of corrosive salt water, is no mean feat, but those involved are hopeful the recovered iPhone can be repaired. "Every IT professional that I've contacted warned me that there is a very, very slim chance that anything can be recovered from this phone...but I'm not giving up hope," Stephanos said. Media reports attempt to connect Apple's action, or supposed promise for action, to the company's high-profile fight over encryption. Likening the two issues is premature at best. Whether Stephanos' iPhone is passcode protected is unclear, and even if it is, Apple's own security guidelines allow the company to provide assistance in emergency situations. It should also be noted that the ruleset cited by certain media outlets is applicable to government data requests, not necessarily private parties.